It is estimated that nearly 1 in 3 people in the world have heart disease. This heart disease is responsible for causing fatal heart attacks. In fact heart attacks account for 31% of all deaths worldwide. The main control method of heart disease is the implantation of stents into clogged heart arteries. 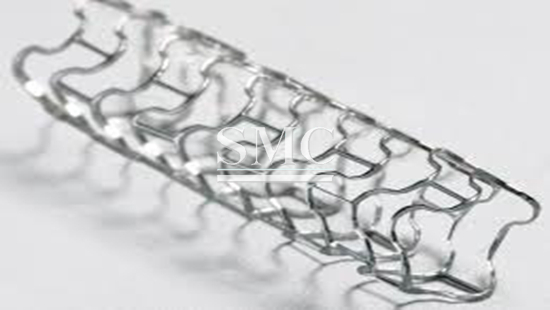 These stents are traditionally made of metal mesh and permanently remain in the body. However, the critical period of vessel healing is completed after only three months. After this period the stent is simply left in place and has potential to cause an array of issues. That is why stent manufacturers have began making bio-absorbable stents that serve the same purpose, but slowly dissolve and are completely absorbed by the body leaving no permanent damage. Bio-absorbable stents, also known as naturally dissolving stents, are usually created using metals or polymers. They utilize similar materials used in the production of dissolvable stitches. Metal stints are primarily made up of iron, magnesium, and zinc. The first stents made of iron, posed a few issues. After the stints degradation, an iron oxide was left in the vascular wall, which narrowed the lumen and generated a potential site for rupture of the endothelium. Magnesium is a new biomaterial that has recently been gaining traction in the bioabsorbable stent industry. They dissolve without a trace once implanted and have no negative effects on the body. However, they only take about 30 days to dissolve, which is much to short for the three to six month desired period. Researchers are currently experimenting with using a protective coating on the magnesium stents to extend their dissolve period. Another material still being researched for bioabsorbable stents is zinc. Zinc has ideal physiological corrosion behavior and it has seemingly met and or exceeded mechanical behavior benchmarks such as ductility and tensile strength. However, further research into this material is still required prior to being widely used. Polymer based bio-absorbable stents are currently the most commonly used and have been approved for use in several countries around the world. They have a radically strong scaffold that is broken down over time into lactic acid that the body can use for its metabolism. Benefits of bio-absorbable stents compared to traditional stents come from the risks traditional stents can cause after implantation. These risks include a predisposition to late stent thrombosis, prevention of late vessel or expansive remodeling, the hindrance of surgical revascularization, and impairment of imaging done with CT machines. These bio-absorbable stents eliminate most of these risks due to the fact that they dissolve over time, having the potential to reduce complications and even save lives.